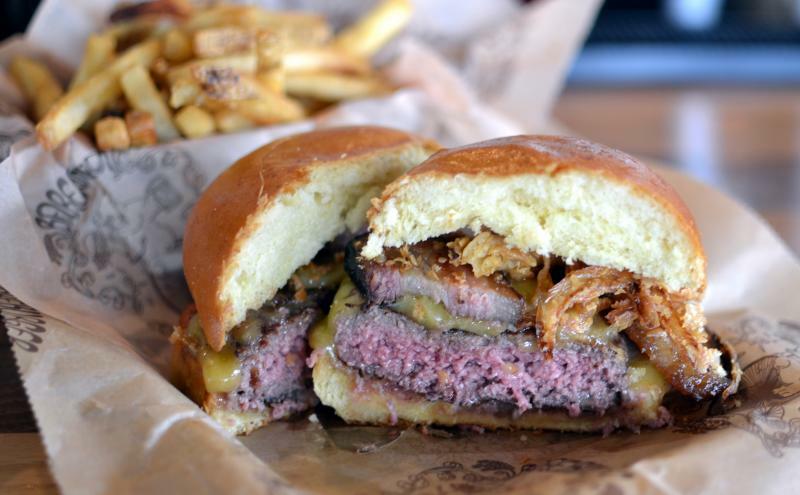 My colleagues at http://www.ctbites.com did an opening piece on Bareburger so it was my turn to head over and give it a try. 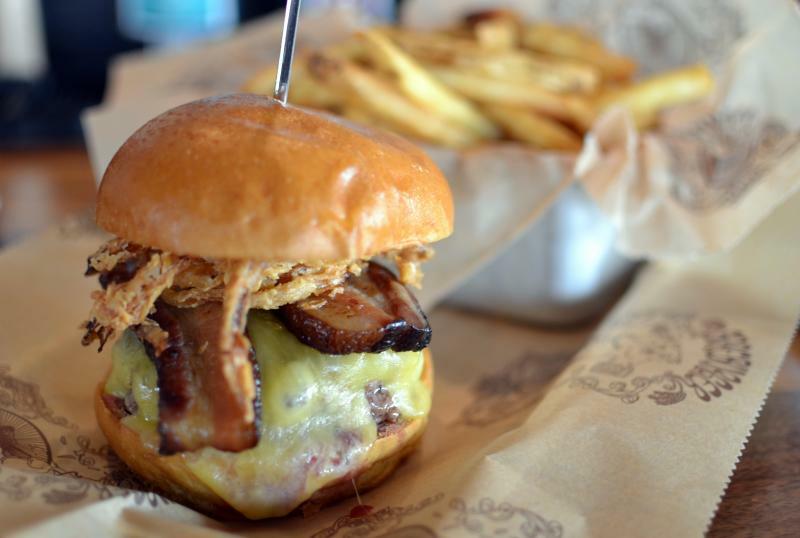 Bareburger offers organic cuisine in a very rustic and comfortable environment. Choose from one of approximately 50 table seats or opt to sit at the bar with 5 others. The interior includes reclaimed wood and brick walls, a reclaimed metal ceiling, and metal and wood chairs, all lit by soft lights from the ceiling. 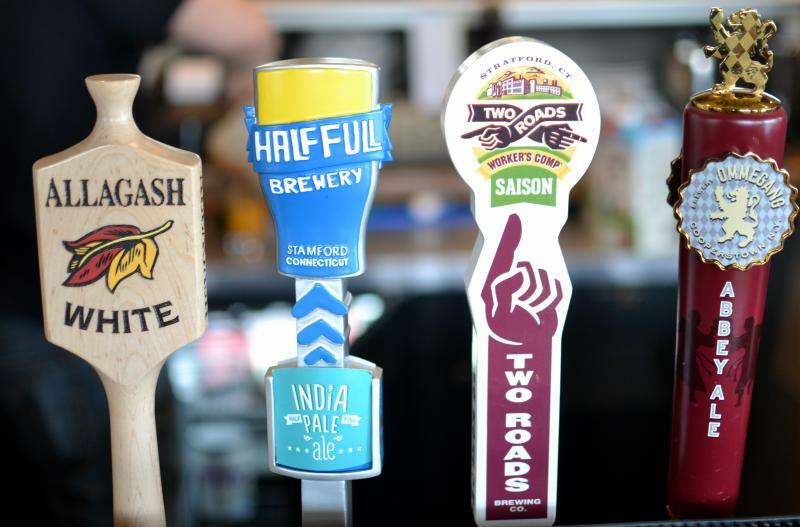 There are several beers on tap including Purple Haze, Allagash White, Two Roads, Half Full, Ommegang, Victoria Prima, Lagunitas and Brooklyn Lager. Numerous organic sodas and Kelvin Natural Slush drinks are available as a non-alcoholic option. Each table has ketchup and mustard served in cuddly bear plastic containers plus individual salt and pepper mills. The menu includes pre-determined combinations of burgers or design your own from a large selection of meats, toppings and buns. In addition to tradition beef and turkey, you can choose lamb, wild boar, elk, bison and ostrich. Each of these meats carry a surcharge. In addition, the menu includes a few non-burger choices and on Sundays, Bareburger serves brunch with a variety of egg plates and sandwiches. For my initial visit I ordered a beef hamburger (medium-rare) on a brioche with fried onions, cheddar cheese and Applewood smoked bacon. I was surprised that French fries were not included so I asked for a small order, plus a diet root beer. When the platter arrived I first sampled the fries and they were delicious, crispy on the exterior and moist on the interior. I noticed that they were without any salt, so I added a touch. These were excellent fries. I took a few sips of the root beer, it had great flavor but a little on the sweet side. I next cut the burger in half. It was cooked perfectly, a good pink interior. I sampled the meat. My first impression was that it was bland and under-seasoned and had a spongy texture. The bacon was very thick, too thick and it had very little smokiness and very little saltiness. The Cheddar cheese was melted well but was also very bland. The few fried onions also contained no seasoning. The bun lacked the buttery goodness I anticipated and was very crumbly. Overall, the burger was very disappointing. Everything was bland and completely under-seasoned. When the bill arrived, I knew that my combination would add up but when I saw $17.25 for my bacon-cheeseburger and fries I almost felt offended. Add the soda and a tip and my tab for a burger lunch was over $25…a family of four at Bareburger for burgers and fries could cost upwards of $100. I understand everything was organic, and others may think this is a reasonable price, but I thought it was very expensive.